Massacre Street is a new defense game with typing words gameplay. Read more details for Massacre Street. 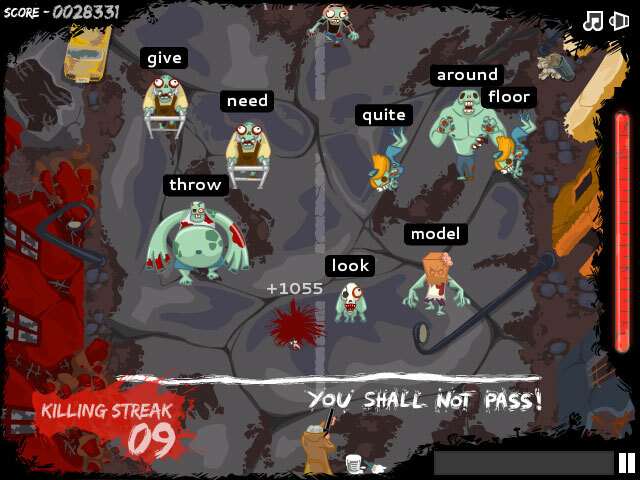 Only the most skilled and yet fastest word typers can survive the biggest, most outrages zombie mayhem! A trusty old shotgun and a green grenade launcher is all that you need to defend your massacre street! 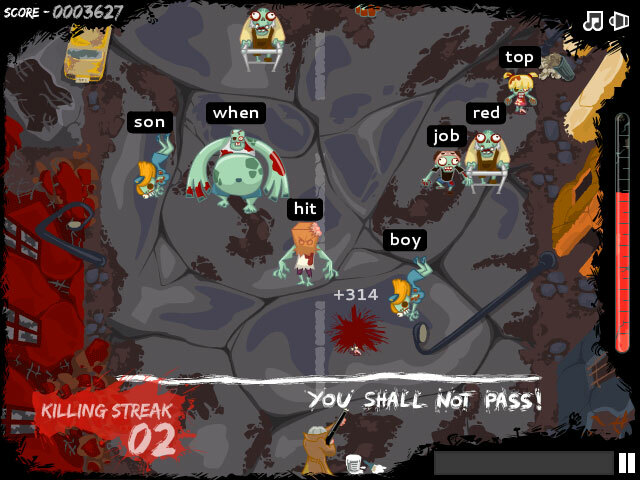 Fight against the invading hordes of zombies, by matching their weak spots - the words shown above their heads. Stand you ground and remember the key is quick typing and correct spelling.